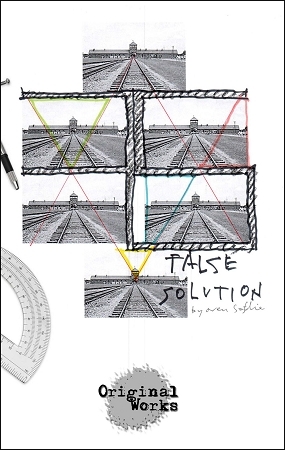 Synopsis: FALSE SOLUTION finds Anton Seligman, an established German-Jewish architect, in his studio late at night working on the design for a new Holocaust museum in Poland. His plans for the museum are challenged by Linda Johansson, a striking young intern and a first-year architecture student. Over the course of this intimate evening, Linda confronts Anton's resolve and throws his vision for the museum into turmoil. The effects of war, religious identity and sexual politics loom large over their electrifying encounter as creative process and personal agendas collide.